In 1997, Robert’s book Rich Dad Poor Dad stunned readers, stating, “Your house is not an asset.” As howls of protest went up around the world, the book went on to become an international bestseller, one of the longest running bestsellers in New York Times history. This is my 2nd book in this series. Great listen and information. Book really caters to learning different concepts regarding how money works. Good use more technical info but still learned a lot. Narrator is very good and easy to absorb the info presented. Very interesting book, throughly enjoyed reading.i hope it will lead to my start up to something new . Good book. Almost didn't make it through the first chapter. Robert has some hard line perspectives I don't agree with, but I am glad I got past my personal politics and got through the whole book. 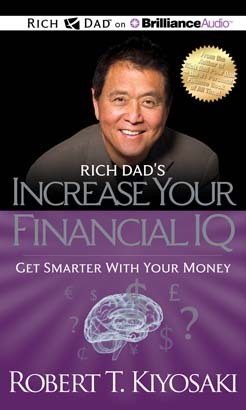 I would recommend it to anyone interested in residing their financial IQ.